I love the size 3 play dress they have on the website. I am in love with the little girl's "peasant dress"! and I posted about the giveaways! I think they have wonderful things, but I love the peasant dress and Angie's dress best. I am a follower of your fantabulous blog. I have blogged about your week of birthday giveaways on my blog. I love the pick peasant dress!! So sweet! Proud displayer of your button! I love the Lily Pond Baby/Lap Quilt - adorable! I love the peasant dress. Adorable! I've blogged about your week of giveaways, too! I am a follower; I am having trouble posting your button. I love your stuff! I am telling everyone I know. Thanks Lannae for showing me this, now I'm gonna be broke, again! Trick or Treat Lap Quilt for me. I love Fall and Halloween has to be one of my favorite Holidays! I don't have kidlets yet, but I LOVE the Orange Blossom Purse! To feed my purse habit! I'm a follower and so enjoy your posts! Getting your Button right now! Love the peasant dress and the flower girl shirt and pant set. So so cute! I love the play dress! I love the Play dress- Size 3!! my favorite is the flower girl shirt and pant set! SOOOOO cute!! I am a Natalie's Sentiments follower!! I have your button on my page! Love the peasant shirt and dress! I love the trick or treat quilt!! My favorite item at the Sisty Uglers is the baby rag quilt! I can't wait to see what else you are giving away this week! Happy Birthday! I am alost a blog follower! I love the 12 month Peasant Dress they have on the website. the peasant dresses are adorable! and a button proudly desplayed on the right of my blog! The peasant dress is adorable! I have your button, it's so cute! I love the peasant dresses. I think I have to have the peasant dress. Adorable! I like the All Squared Up Baby Lap Quilt . Beautiful. I am a natalie's sentiments follower. I like the peasant dress, so cute! The Peasant Dress is adorable, I so can't wait for our little girl to get here!!! My favorite is the flower skirt. Love Love the Peasant Dress. I love the peasant dress in the fresh cut fabric. Too cute! I don't have any girls, but my best friend is pregnant and having a girl in December. OMG! I really need to win, cause I just gotta have the "All squared up baby quilt". I love it so much! Thanks for introducing this site. and I blogged about it here. 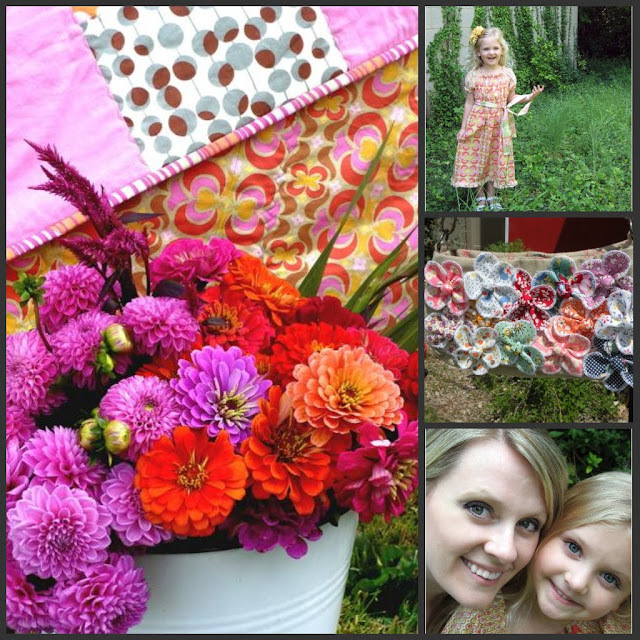 I love the baby rag quilt and I know just the person I would give it to! I know a lot of cute little girls that would love any of this darling stuff! Thanks! Love the baby rag quilt! I like the All Squared Up baby/lap quilt!! I really love the June Dress in size 4. That is really cute. Thank you! Peasant Dress- Sizes 12 month to 6 years is it!!! I want this for my baby girls! 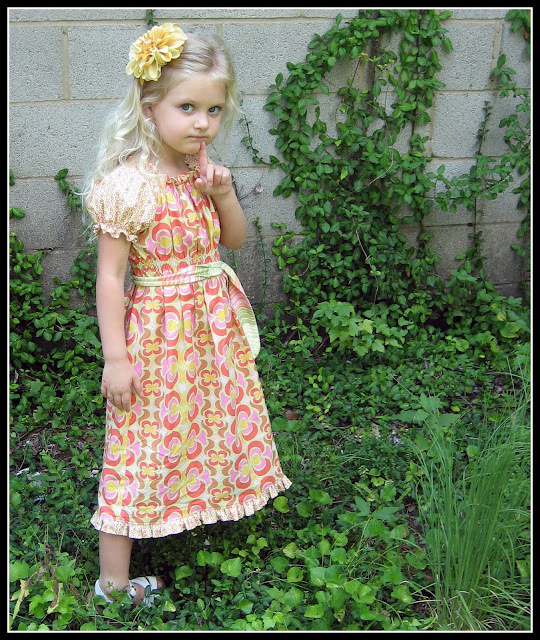 The Angie Dress is darling--need it, want it, would love to win it!! And I have your button on my blog! And the play dress is my favorite! I love the All Squared up lap quilt! The colors are great! I am also a follower to your blog! I love the pocket full of posies purse! I love the size 8 peasant shirt and skirt!!! SO MUCH...I just HAD to buy it!!! I love the peasant dress. I would love to win it, and get size 2t. I blogged once about the extravaganza! I love the peasant dresses! So cute! I have three girls under 6 so I may need three! The Kimono Dress is adorable. You're my favorite older sister. I love, love, love the peasant dresses! Peasant Dress- size 3 in blue and green So adorable! I am a follower =) HAPPY BIRTHDAY !! I LOVE "Angie's Dress" and the "Baby Rag Quilt". play dress or peasant dress; I can't decide! I adore the bag full of poises. I Like the baby rag quilt. Absolutely adorable! I love the peasant dress! Posted on Facebook...don't have a blog! What I really want for my birthday. Taking control of my "collection"